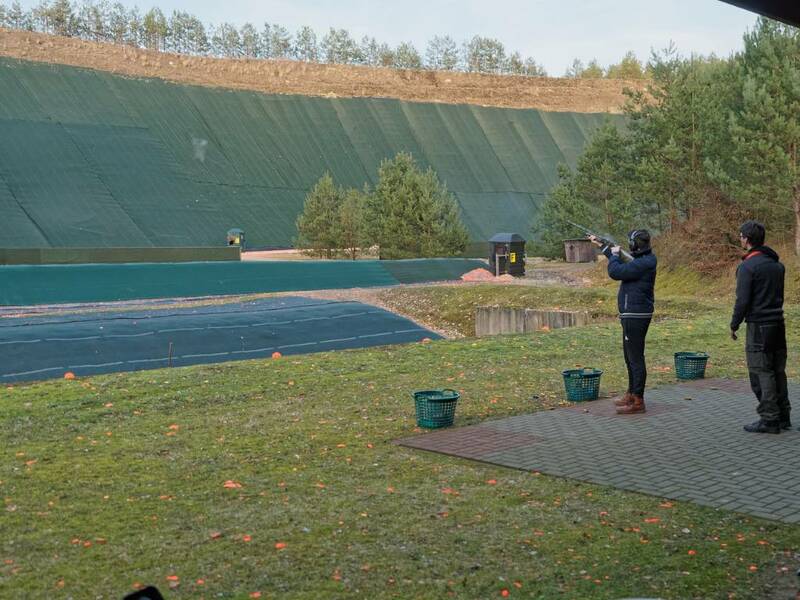 We spent a few hours at the range and my cousin took some pictures (was his first time clay shooting). A few of them are worth sharing with the dust and shards after a hit and the clay flying (my son shooting). I don't often shoot trap, but when I do, I enjoy. Actually, it is a dual-use stand and we did not shot trap, bur parcours with 8 machines throwing different directions. I'm impressed with all the engineering on the range. Sounds something like our sporting clays and looks like fun. If Hamburg had gotten the Olympic games, shooting would have been there. I was in Poland to shoot parcours last year - simply terrific! 8 or 9 stands with about 8 machines each. 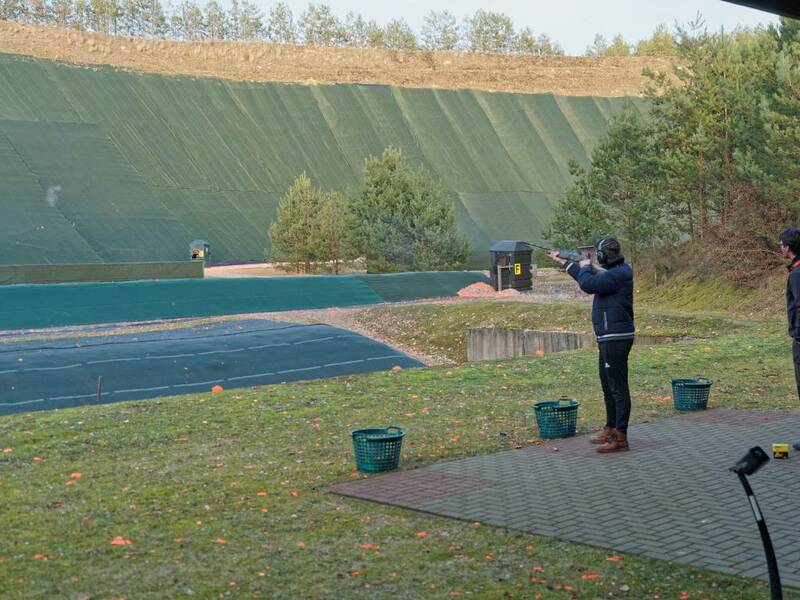 Clays came from everywhere and I was always the first to shoot.